The Prestige Estuary Bi-Fold Shower Door 700mm Wide, 4mm Glass is a model that reflects the quality and affordability of the K-Series shower door range from Prestige. 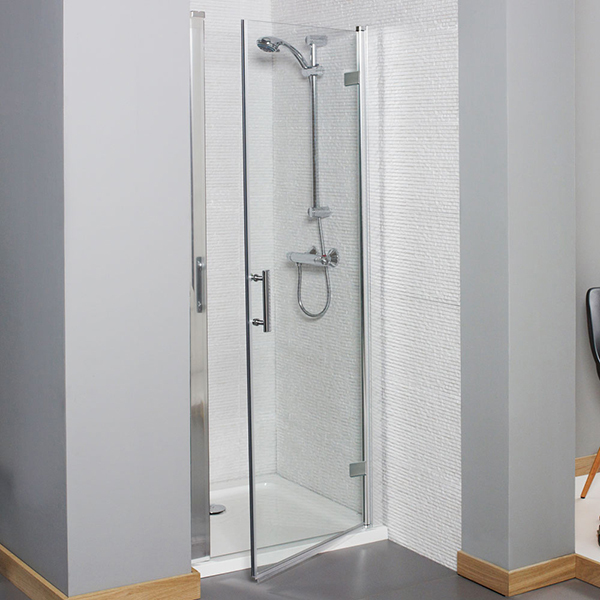 With 4mm toughened safety glass, the Estuary bi-fold range of shower doors include a bright chrome frame designed to contrast against existing sanitaryware. Supplied with a lifetime guarantee (very rare for an item in this price bracket), the KON700BF model has been designed to give you complete peace of mind at all times.